Open source software (OSS) has become commonplace in the enterprise. However, even companies following best practices have been challenged with lawsuits. 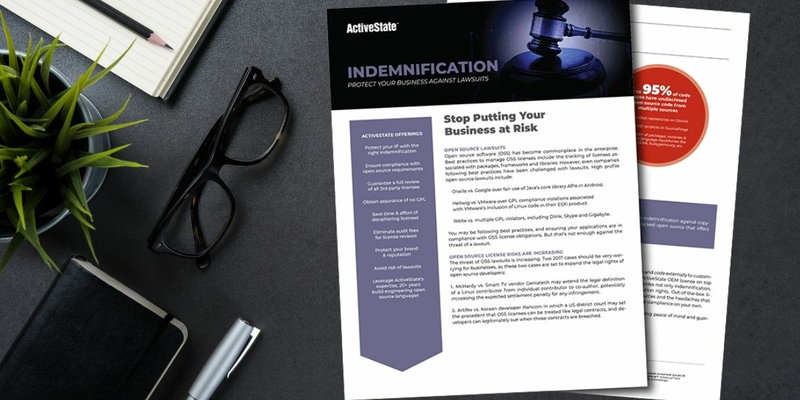 The ActiveState Enterprise license gives you indemnification against IP infringement lawsuits.